The Kentucky Artisan Center at Berea and five other Berea attractions are featured in Midwest Living magazine’s 2011 Best of the Midwest® travel edition. This publication highlights editors’ top pick travel destinations throughout the Midwest. In recommending Berea, the editors point to Berea’s “centuries-old crafts culture,” which has earned it the title of Folk Arts and Crafts Capital of Kentucky. The editors recommended visiting the Kentucky Artisan Center at Berea to “get an overview of the extensive local crafts.” Other recommended Berea locations include the Berea Welcome Center, Berea College, The Boone Tavern Hotel and Restaurant, Main Street Café, and Snug Hollow Farm. “We are proud to be among the many attractions that make Berea, Ky., a very appealing and unique destination for Kentuckians as well as travelers from around the country,” said Victoria Faoro, executive director of the Kentucky Artisan Center at Berea. 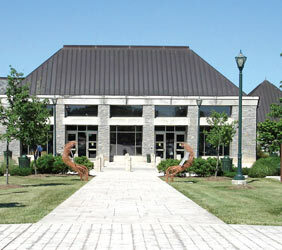 The Kentucky Artisan Center at Berea is an agency in the Tourism, Arts & Heritage Cabinet of the Commonwealth of Kentucky. Commonwealth communities of all sizes and demographics are encouraged to apply to the new Kentucky Cultural District Certification Program, developed to stimulate and promote local cultural, economic, community and social assets. Certification can mean increased tourism marketing and economic activity via a branded state program. Cultural district committee members will receive training and professional development; technical assistance from partner state agencies and national experts in arts and cultural economy; access to grant and incentive opportunities; and assistance with planning signature events (such as gallery hops, downtown open houses and festivals). 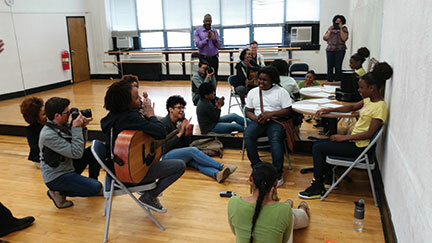 More than 100 U.S. cities have implemented or are planning cultural districts – positioning the arts and culture as a center of revitalization efforts. A cultural district is a well-recognized, labeled, mixed-use area of a community featuring a high concentration of cultural amenities that attract local residents and visitors alike. The Kentucky Arts Council will offer an information session for interested communities along with technical assistance in developing an application. Letters of intent are due July 1. Guidelines, instructions and application are available at 1.usa.gov/kacCulturalDistricts. 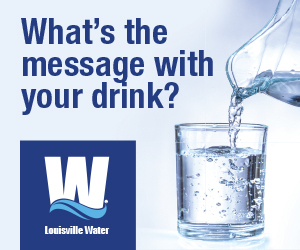 Contact Chris Cathers, program branch manager, at [email protected] or (502) 564-3757, ext. 474. The Louisville Arena Authority has unveiled “Further,” a public work of art by Al Price of Al Price Studio in Phoenix, Ariz., at the KFC Yum! Center. The three-dimensional stainless steel sculpture was commissioned by the Arena Authority for approximately $213,000. It is suspended from aircraft cable that spans 200 feet along the west side of the facility on the Main Concourse. The sculpture can be seen during all events at the KFC Yum! Center.